Hulyo | 2016 | Sana Ako si Ricky Lee! Today, I would like to further share with you some more mantras that I chant daily. 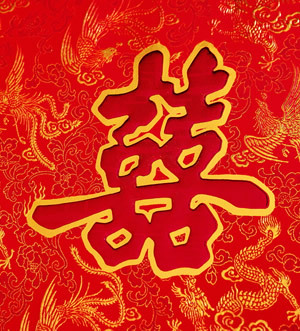 With this one, I would like to focus on one of the major concern of more people, and that is to increase their wealth luck, or financial luck, or money luck. Although not included here, because I have previously written about it already in this series, it should be noted that chanting the Mantra of Bodhisattva Vajrapani – OM VAJRAPANI HUM – is also a very good wealth, money and financial luck enhancement mantra. Even not really about chanting mantras, a lot of my readers who has acquired the Vajrapani Ruel has experienced wonderful miraculous stories that totally boost their financial, wealth or money luck. OM TARE TUTTARE TURE DANAM ME DADA SOHA (Mantra of the Wealth Granting Tara) – Wealth Granting Tara is another manifestation of Goddess Tara, chanting her mantra will help grant you showers of financial blessing. WEALTH GRANTING TARA is not a very popular but very powerful manifestaion of GODDESS TARA. 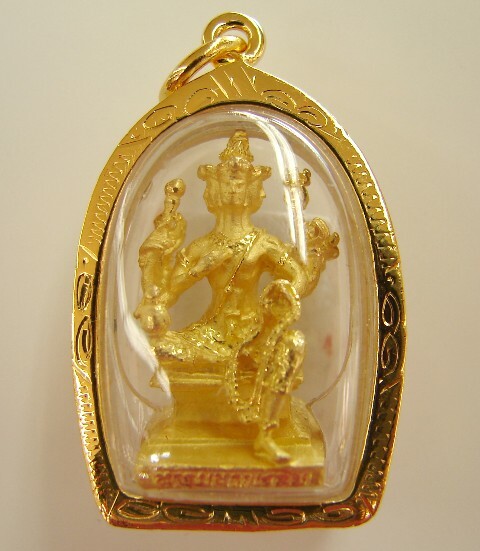 There are very few images of the WEALTH GRANTING TARA in the market or on the net. So far, one of the best rendition is that of Lillian Too’s WEALTH GRANTING TARA, which is available in WOFS or World of Feng Shui. OM SHRI VASUDHARA RATNA NIDHANA KASHETRI SOHA (Mantra of Goddess Vasudhara) – Goddess Vasudhara is another manifestation of the Goddess Tara. According to the sutra, a generous and compassionate man who needs wealth to help the poor, requested the then human Shakyamuni Buddha (Sakyamuni Buddha) for financial abundance. The Historical Buddha, Shakyamuni, then gave him the mantra of Goddess Vasudhara. But more than the material abundance, chanting this mantra will help attain spiritual growth as well. OM PADMO KRODA ARYA DZAMBHALA HRIH DAYA HUM PHAT (Mantra of White Dzambhala) – There are different Dzambhala’s, (also spelled as Zambala, or Jambala), there is red, yellow, black, green and also white. I have talked about the Yellow Dzambhala. Like the mantra of the Yellow Dzambhala, chanting the mantra of the White Dzambhala will help enhance your wealth luck and give you material abundance. Today is a very special day! 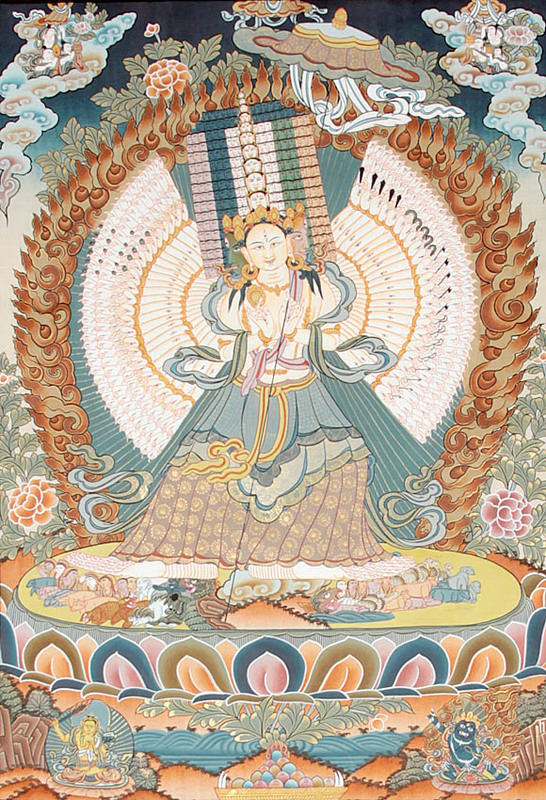 For those who read and maybe followed the 15 Powerful Vajrapani Day know that it ended yesterday, and yesterday was also the eve of the Bodhisattva Kuan Yin’s Enlightenment day. It is not coincidence that the 15 Powerful Vajrapani Days ends on the eve of Kuan Yin Bodhisattva’s Enlightenment day, this really is to remind us that power should always come with compassion, without the other it is useless. Furthermore, it also sets the enlightenment day of Bodhisattva Kuan Yin to be more auspicious, because the 15 Powerful Vajrapani Days would have set the 15 days ‘clean’ already thus making the enlightenment day of Kuan Yin more auspicious. Today, all your good karma will double. Chanting the mantra of Kuan Yin will also reap double merits! 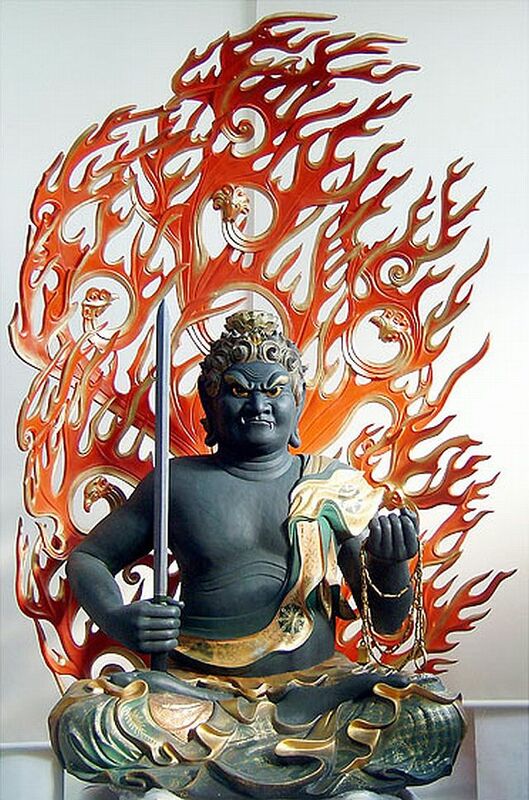 But I also put a short warning, if you put the name of Bodhisattva Kuan Yin in vain or if you slander it, you reap double of the bad karma. 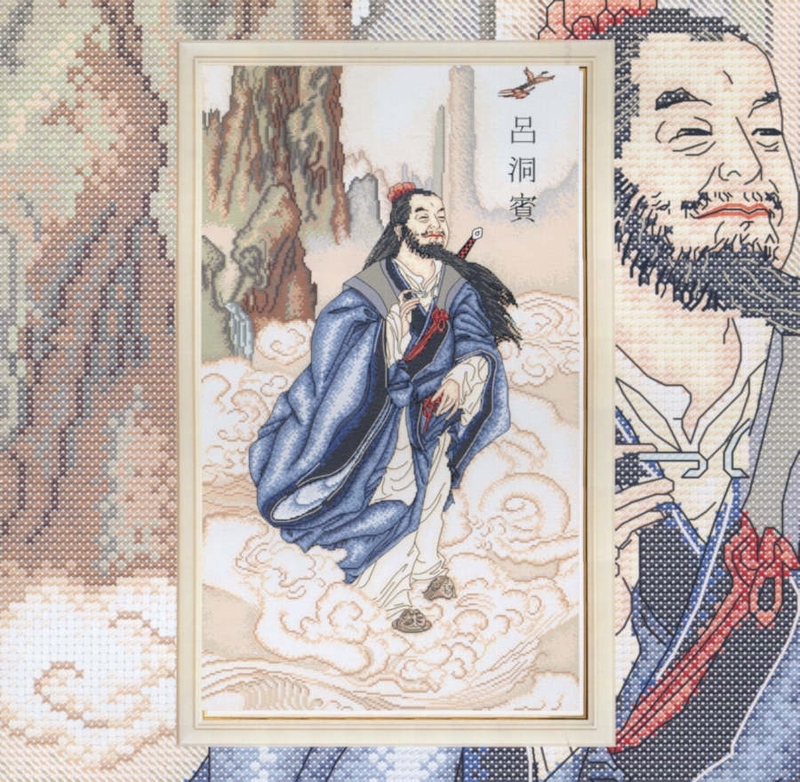 Furthermore, if you play around other people using Bodhisattva Kuan Yin you also read tons of bad luck! 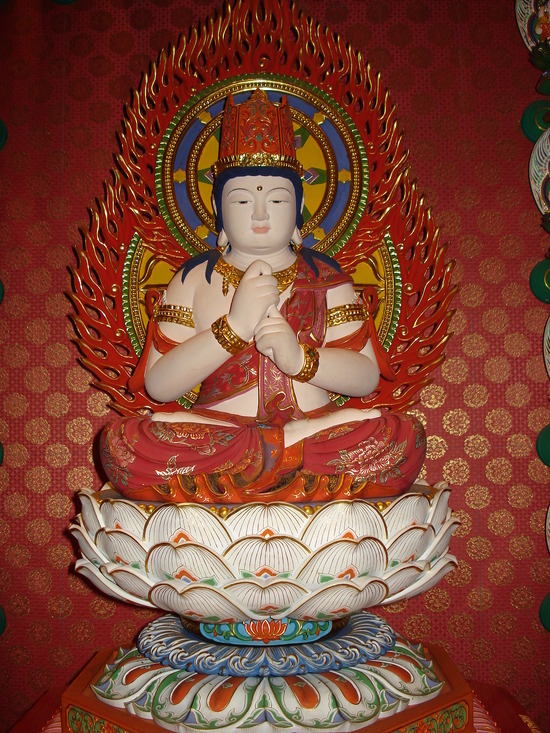 KUAN YIN MIRACLES: PROOF THAT MIRACLES DO HAPPEN WITH OR WITHOUT AMULETS 1. KUAN YIN MIRACLES: PROOF THAT MIRACLES HAPPEN WITH OR WITHOUT AMULETS 2. KUAN YIN MIRACLES: PROOF THAT MIRACLES HAPPEN WITH OR WITHOUT AMULETS 3. KUAN YIN MIRACLES: PROOF THE MIRACLES HAPPEN WITH OR WITHOUT AMULETS 4. Buying A Desired Property for Her Mother at A Very Ridiculous Low Price 3 Days After Receiving the Vajrapani Ruel: An Overseas Filipino Reader Shares Her Vajrapani Ruel Miraculous Story! Knowing something is powerful doesn’t make you immune from getting ecstatic when you hear about miraculous stories that are believed to have been cause by that ‘thing’. Even before I had the wonderful opportunity of owning my own Vajrapani Ruel, and even before I had the blessing of writing about the Vajrapani Ruel and being a channel to which it can be distributed to more people, I already know that the Vajrapani Ruel is something that one powerful ‘amulet’. Although technically a ruel is not an amulet, it is something much more powerful. Knowing that the Vajrapani Ruel is so powerful didn’t prepare me for the many wonderful miraculous, from simple to almost outrageous, experienced share by those who requested for it and who has it. Today, allow me to share the story of Christina, a Filipino who lives and has a family in Finland. She has 2 teenage half – Filipino, half – Finnish daughters. She first emailed and soon called me up. She requested for the Vajrapani Ruel herself, and the Vajrapani Ruel for her mother who is ill from suffering from the heat stroke last year. Because reservations are not allowed, she decided to send money first, and I met her the day after she arrived, just before she went to her province. Three days after she received the Vajrapani Ruel, she experienced a miracle. Christina has been wanting to buy the property behind her mom’s house, perhaps so that she can build an extension of her mom’s house. 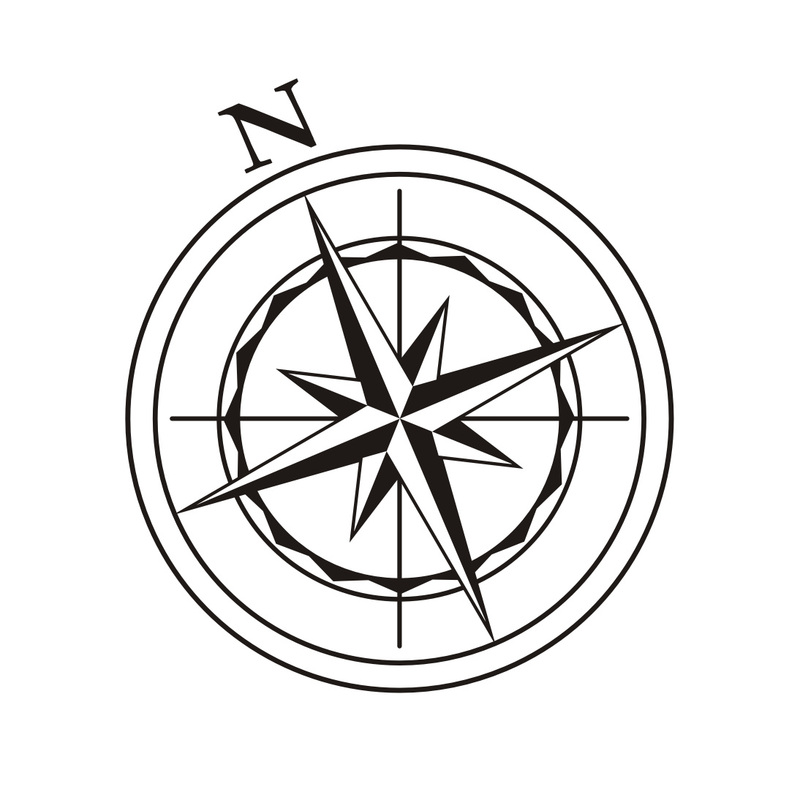 But the property being sold to her is the L – shaped property and after reading Feng Shui articles, she feels that it is not very suitable because it is more difficult to manage the Feng Shui of a house that is irregularly shaped. She wants the other property, which I assumed is beside it, but the owner of the said properties, doesn’t want to sell it. This has been her concern or desire for a long time. As mentioned, in this trip back to the Philippines, she decided to meet me and get the Vajrapani Ruel. She did, and as if some kind of unseen forces has convinced her cousin to sell Christina, the property that she want. The regularly shaped property behind her mother’s house! At approximately 400 square meter, the property is quite big, although they her mother lives in the province, which is in Pampanga, anybody who knows about Philippine real estate knows that land price in Pampanga has started to soar up several years back because it has become a urbanized area. But the second miracle is that her cousin for some very weird reason, but I would prefer to use miraculous reason, has decided to sell the property at only three hundred thousand pesos. That is roughly the price of 2nd hand, functional, mid – range to high – range car! Isn’t that a bargain?! Christina, herself was quite surprised, but the only difference that happened this trip is that she got the Vajrapani Ruel before she went home to her hometown, Pampanga! Over the phone, Christina also shared with me another simple miracle that they experienced. Her brother I think misplaced some money, which they have been looking for some time. When Christina found out about it, I think she either hold on to the Vajrapani Ruel or chanted Bodhisattva Vajrapani’s mantra, not sure which of the two or maybe both. And voila, the money that was misplaced that his brother has been looking for some time was found, under one of the pillows! 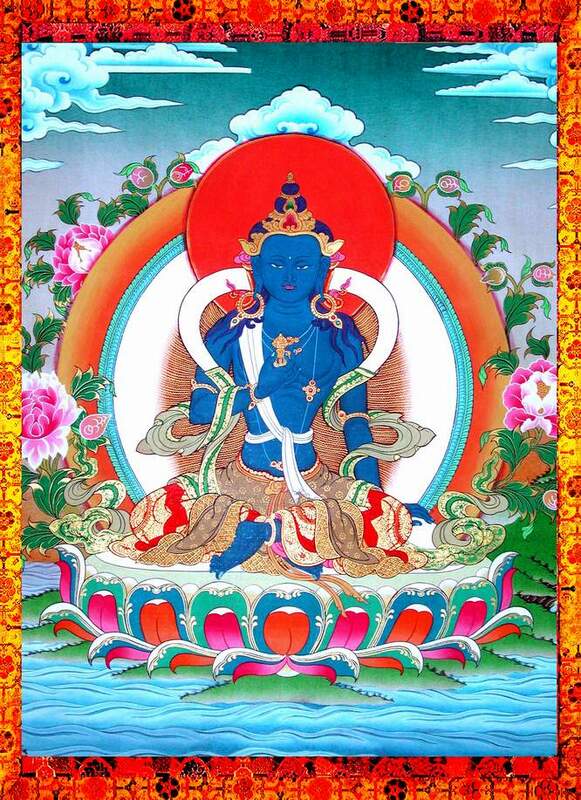 Christina also attributed this simple miracle to the Vajrapani Ruel! 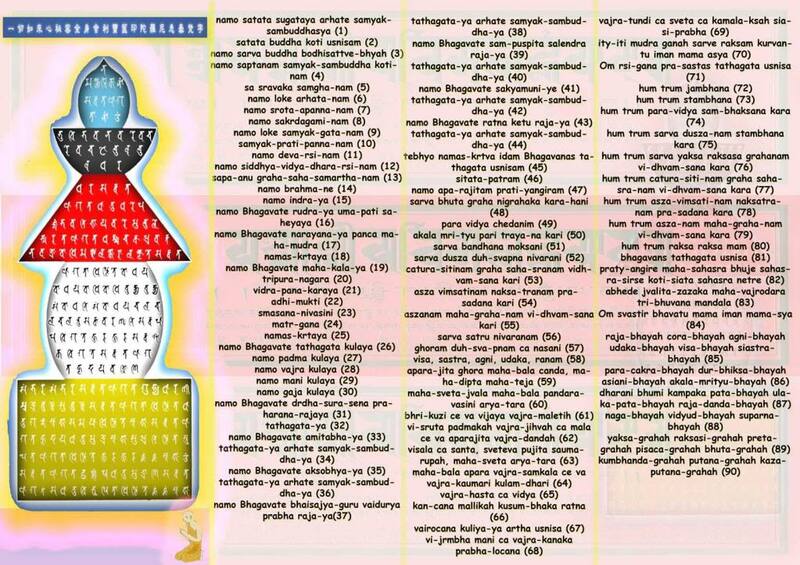 Chant – A – Mantra (3e): Daily Mantras to Chant – Two Powerful Mantras that Brings in Loads of Blessing! The ‘difficulty’ in chanting a mantra is only at the start of doing it, but once you get used to it chanting it is going to be a breeze. However, what takes time to master is chanting it under deep meditation. Nevertheless, constantly doing should do the job, but you’re biggest battle is fighting frustration, because it might be difficult to achieve that level. But mantras are so powerful that even if you don’t achieve that level, you’re still bound to get some benefit. These mantras that I’m about to share now is one of the most powerful mantras that I chant everyday. Even though I don’t particularly wish for anything, I still chant this mantra because it helps attract positivity and good energy. It’s partner mantra is a powerful mantra that erases long term negative karma. These two mantras should be chanted together, right after the other for it to be truly effective. I’m talking about the WISH FULFILLING MANTRA and NEGATIVE KARMA CLEANSING MANTRA. Simply seeing the symbolic script of these mantras is considered auspicious. And chanting them will cleanse you from negative karma and attract wonderful positive energies and fulfill your wishes. I have written about these mantras and you can read the post – RECEIVE SHOWERS OF BLESSINGS BY TAPPING TWO OF THE MOST POWERFUL MANTRAS – to understand it better. But what I would like to add is that chanting these mantras in conjunction with the mantra of the Bodhisattva Vajrapani – OM VAJRAPANI HUM – or by holding or carrying that Vajrapani Ruel will double or even triple the powerful of these mantras. Let Us All Pray for Peace and Protection for the Philippines and Asia! The Philippines is currently in a very volatile situation, we just won the in the international court in The Hague, and while there is much reason to celebrate; the country was also put in a compromising situation. Why? Because China is a big bully and it is clear that they won’t honor the ruling and in fact has already called it null and void. The Philippines interim Department of Foreign Affairs secretary, Perfecto Yasay, who was involve in a controversy when he was still a SEC Chairman, has acknowledge this but unfortunately he has offered a less appealing ‘solution’ which earned him the ire of many Filipinos. I will no longer go into the details of the matter. Simply Google it and you would know what is the case all about. Whether it is called South China Sea or West Philippine Sea, one thing is clear, the country is in a volatile situation at the moment. Worst situation is go into war, and while other countries has started to show their support by sending forces in the country, when China declares war with us and if with our without allies it is going to be a delicate and precarious situation with us. Lastly, you can also offer oil, flowers, light (candle or synthetic), fruits and vegetables to images of Buddhas and Bodhisattvas for peace and protection. Dedicate all the merits of these deeds to the protection of the Philippines and SEA and also for peace. Furthermore, those who have the Vajrapani Ruel, which is regarded as the most powerful amulet in the Buddhist pantheon, or the Surangama Mantra Amulet can help by putting the Vajrapani Ruel on top of the Philippines in a printed map, and the Surangama (also spelled as Shurangama) Mantra Amulet at center of Asia.